I’ve had one too many conversations with women, young and old, who have given up on men. They’ve been let down one too many times and simply believe that real men no longer exist. I knew this was a topic I should speak on but only if it meant leaving my personal experiences out of the equation. It’s not really necessary, right? You see, even though I’m a blogger, I’m still a very private person. There are some topics that flow out of me more freely than others. Divulging the intimate details of my man crush is not one of them; yet talking in the hypothetical seems so inauthentic. I may not trust my readers who are total strangers but I do trust God and He wouldn’t call me to speak on something if it wasn’t for a greater purpose. So I’ve found a healthy balance in my approach to writing this and there’s a lesson in it so as usual… He wins! This is a lesson in how to manage when things don’t go as planned. 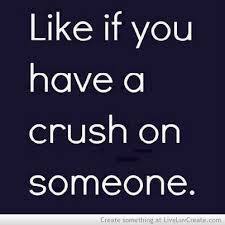 First, let me clarify what kind of crush I’m referring to. This wasn’t an “I like him but he doesn’t know I even exist crush.” This crush was a “He’s showing interest and I think I like it so I’m going to roll with it” crush. I remember sitting beside him a few days after we met and visually hi-fiving God for hooking me up! I was thinking “God you really have outdone yourself!” I know you’re laughing but I’m so serious. We met at such an unsuspecting time and the connection was greater than just physical. Of course he was physically attractive but what made him an even more valued package was his unapologetic love for God and his bold expression of that love. I never had that experience before. I can count on one hand the number of crushes I’ve had in my lifetime but even still none of them were ever so spiritually compatible (Insert the dougie dance here). On top of that, our assignments aligned, we had similar visions and work ethics, and it seemed like our priorities were in sync. Welp, I’m sure you’re thinking this is leading to a romantic whirlwind love story…… NOT! My first natural reaction after it was cut short was …DELETE! 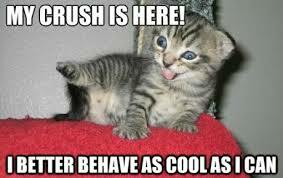 But unlike my normal self, I had a bit of a pause. I decided to chill on deleting all forms of contact and go to God about how I felt. If God would have told me to close this door and not look back it would have been the easy route for me! I’m good at that! However, I didn’t get that answer. Instead, I got the exact opposite and I knew that God was trying to stretch me! Strip away my pride and make me deal with it like a real woman. 1. Were you your true self? … YEP! 2. Did you make significant efforts to connect? … More than normal! 3. Did you compromise any of your values? … NOPE! 4. Do you know that God wants to give you His best? … ABSOLUTELY! Ladies be discerning about the men you spend time with. If you believe God bought them to you, it could mean a match made in heaven but it could mean something else not so “Sleepless in Seattle” romantic. Trust God to be comfortable with whatever it turns out to be and don’t let it discourage you if it doesn’t go as planned. If you know who you are, what you’re worth, and you’re actively pursuing God’s approval in EVERY area of your life, you will have a much happier life even when disappointments come (because they will come!). Stay focused on your assignment. Enjoy where you are right now and let God work out your official man crush moment! Believe it will be worth it. I know I do! Guess who’s a new writer for Defined By Christ Magazine?! So excited for the connection that I decided to use my first relationship article for my blog today! Just a testament to how God can promote you when you least expect it! Happy Tuesday all! !